Cubot J3 is the most good looking cheapest smartphone I have ever seen. This handset comes with a beautiful design that sports the modern bezel-less display and it comes with a dual camera. The phone has its limitations on the specifications which are understandable considering the price. Nokia 3.1 is no match for the Cubot J3. The phone packs a good design that is too good for its price. So in this post, we will be comparing the Nokia 3.1 with the Cubot J3 to see which one has value for money. Nokia 3.1 VS Cubot J3: Design. Nokia 3.1 VS Cubot J3: Display. 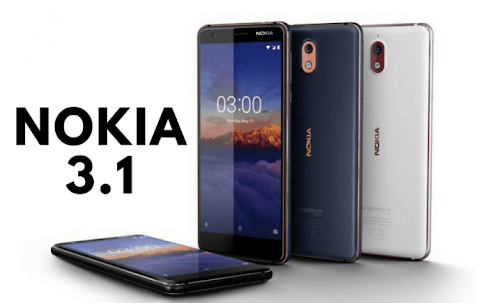 Nokia 3.1 VS Cubot J3: Price. The Nokia 3.1 comes in a premium body design. The smartphone is built with the combination of Polycarbonate and Aluminium Alloy. It’s lighter and slimmer than the Cubot J3 measuring 146.25 mm x 68.65 mm x 8.7 mm in dimensions and 138 gram in weight. The Cubot J3 is looking nicer than the Nokia 3.1 on the appearance. The phone is built with Aluminium mix with Plastic on the body and its measures 141.4 mm x 66.3 mm x 8.8 mm in dimensions and 168 gram in weight. Both phones are available in three colors variant. The Nokia 3.1 has a display size of 5.2 inches, HD+ with 1440 x 720 Pixels screen resolution and 310 pixels per inch density. 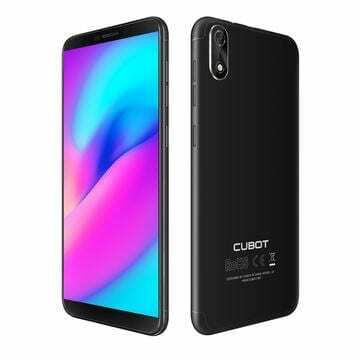 You will get a standard screen size of 5.0 inches on the Cubot J3 with a 960 x 480 Pixels resolution and 322 pixels per inch density. The Nokia 3.1 has a corning gorilla glass screen which is scratch resistant while the Cubot J3 has 2.5D Curved Glass Screen. 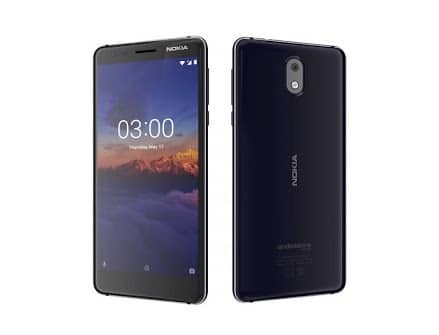 Both phones are under IPS, LCD capacitive touchscreen display technology but the Nokia 3.1 will deliver more viewing experience and it also has a higher screen to body ratio. The Nokia 3.1 has a rear camera of 13 Megapixels with dual LED flash and its shoots 1080p@30fps video resolution. Cubot J3, on the other hand, has a single camera of 8 Megapixels and it also records high videos quality as well. On the front, the Nokia 3.1 has a selfie snapper of 8 Megapixels with f/2.0 Aperture, and 84.6 Degree Wide Angle Lens, while the Cubot J3 only has 5 Megapixels on the front. On the performance aspect, the Nokia 3.1 has a MediaTek MT6750N Chipset with an octa-core that clocked at 1.5GHz speed with 8-core and 3GB of RAM. The Cubot J3 only has 4-core and a Quad Core processor that runs at 1.3GHz and 1GB of RAM. Both phones have inbuilt storage of 16GB while the Nokia 3.1 has a variant with 32GB of storage and they are powered by Android 8.1 Orea operating system. The Cubot J3 has Go Edition which will ensure smooth performance on the phone. Nokia 3.1 also has a bigger nonremovable battery capacity of 2990mAh while the Cubot J3 has a removable battery of 2000mAh. They don’t support fast charging technology and they both lack fingerprint scanner for security. The Nokia 3.1 starting price is $160, while the Cubot J3 is selling at a price of $59 and it’s available online.